Spatial Structures specialise in the manufacture, supply and erection of fabric covered structures. They have a wealth of experience in this area. They pride ourselves on their ability to get to know the unique needs of each of their customers. 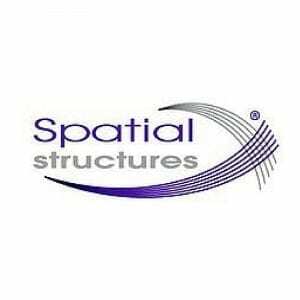 Spatial Structures clients include Exeter University, Chelsea Football Club, Fulham Football Club, Wolverhampton Wanderers Football Club, Andover Tennis Centre and Brighton and Hove Albion Football Club. Spatial Structures offer a complete design service so that the clients building can be tailor made to meet their requirements. This can include photo realistic imagery of their proposed building to support planning or funding applications. Spatial Structures is a trading name of Dove Construction Limited a Gloucestershire based construction company with a wealth of experience in construction in the industrial, commercial, sport and residential sectors. Prestbury Marketing helped create and launch the Spatial Structures brand and looks after all aspects of Spatial Structures Marketing and PR.